One think tank, The Heartland Institute, led the effort to debunk the hoax, sponsoring six international conferences featuring scientists and others who presented papers that demonstrated that 0.038 percent of CO2 in the atmosphere had little or no “greenhouse” effect on the Earth’s climate or weather events. It will hold its seventh conference, May 21-23, in Chicago. Along the way, it acquired a lot of enemies, not the least were the mainstream media that have thrived on the endless scare campaigns generated by environmental groups. Countless articles assured us that the seas were rising and would swamp major coastal cities, that all the polar bears were drowning, and that every natural climate event from hurricanes to tornadoes was caused by global warming. 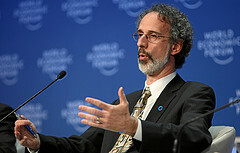 ﻿One leading voice among the global warming advocates was Dr. Peter H. Gleick whose work in the field of hydroclimatology catapulted him into the top ranks of the scientific community. In 2003 he was awarded a MacArthur Fellowship and in 2006 he was elected to the U.S. National Academy of Sciences. In 2011 he led a new task force on “scientific ethics and integrity” for the American Geophysical Union. 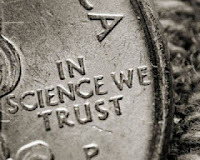 Dr. Gleick had also allegedly forged a two-page “strategy memo” purporting that the Institute was engaged in a variety of efforts to fraudulently undermine the claims of global warming scientists. The Institute did not have to, nor ever did engage, in any such efforts. The truth about the global warming claims was sufficient to undermine them. This writer recently inquired of the National Academy of Science whether they had or intended to issue a statement regarding Dr. Gleick. Its executive director of news and public information replied, “No, NAS has issued no statement regarding this.” Otherwise known in the trade as "No comment." In November 2009, in a massive data leak that was instantly dubbed “Climategate”, the world learned that IPCC scientists responsible for its reports claiming massive climate change due to global warming had been producing some widely disputed science to support the claim. By 1998, their emails revealed their growing panic over a perfectly natural new climate cycle of cooling. Dr. Gleick’s scheme became known as “Fakegate” after his confession appeared in The Huffington Post. Legal action is being pursued against him because of the deception involved and because of the impact it has had on Heartland’s reputation. In the wake of Fakegate, General Motors, a donor for some twenty years, announced it would no longer support Heartland. General Motors was no doubt influenced by the vigorous defense of Dr. Gleick waged via posts about Heartland on blogs like DeSmogBlog, on ThinkProgress.com, and Greg Laden’s blog, and by publications that included the Huffington Post and Politico. The defamation of Heartland included the Pacific Institute, co-founded by Dr. Gleick in 1987, along with the National Center for Science Education, and by Greenpeace. Despite Dr. Gleick’s apology his apologists are doing their best to spin what he did when he impersonated a member of Heartland’s board and created the alleged false "strategy" memo. Dr. Gleick and his apologists are a classic example of the lengths to which the global warming—now called climate change—conspirators have been willing to go to maintain the hoax. Since the 1980s they have influenced governments to spend billions in public funds and subsidies to advance its corrupt science, along with subsidizing a massive building program of solar panels and wind turbines providing so little electricity it actually has endangered lives in Europe and threatens the integrity of the U.S. electrical grid. A documentary by the same company that produced Al Gore’s insipid stew of global warming lies, “An Inconvenient Truth” is now releasing a new documentary, “Last Call at the Oasis”, in which Dr. Gleick is featured. It has already been shown at the Smithsonian Institute! It is doubtful that his participation will be edited from the film given the revelations of Fakegate. Fakegate was just one part of a full-scale war on those scientists—called deniers and climate skeptics—who had the courage to oppose the global warming hoax and it continues to this day. Dr. Gleick apparently decided that the Heartland Institute’s reputation had to be severely damaged for its courage. He will have his day in court. A generation of Americans and others around the world have been brainwashed and continue to be brainwashed by a cabal of elites, often with very deep pockets, who have sought to advance the hoax to enrich themselves or to impose an unconscionable level of control over the world’s population through various UN programs and treaties, entrapping whole nations in their efforts. They have infiltrated the nation’s schools, its colleges, the news media, and run rampant in Hollywood. In the meantime, the mainstream media has swept Fakegate under the rug, says little of the vast implications of Climategate, and continues to pander to the EPA and other elements of the Obama administration despite the obvious fraud, waste and failure of its “Green” programs. The Heartland Institute has already paid a big price for its efforts and needs donors to replace General Motors’ support. It needs your support. And science continues to be debased by men with PhDs and lofty academic connections and financial support. It has been said that truth is the first casualty of war and the war on science continues. Editor’s note: To forestall the likely warmist response to this commentary, Mr. Caruba is not in the employ, nor receiving any funding from The Heartland Institute. Lol I got called a "denier" the other day during an argument over global warming..oops I mean climate change. And these kool-aid drinkers are the same ones that predicted an ice age a few years ago, claimed toothpaste caused cancer in the 80s and who knows what other stupid notions. They have too much time on their hands and a need to control everything. Thanks for telling it like it is Allen. @Zoaawn. I founded The National Anxiety Center in 1990 in order to have a platform with which to respond to these folks. Been at it ever since. Great article, lots of work. Y2K, Radon, Electromagnetic Waves, Microwaves, Swine Flu, Bird Flu, SARS, Cell Phones, Fluoride ... the list goes on and on. This is the first I've heard of "Fakegate" but I'm not surprised the Warmist Cult strikes back in such a crude, stupid and easily exposed way. After all, they are "good" national socialists engaged in the destruction of Free America. Earth's atmosphere in not in a green house, nor is a greenhouse warmed at all by gasses in it. This false theory was published in the early 1800s, and was falsified before the beginning of the 20th Century. Any significant reduction in CO2 would result in world famine, for all animals, and would seriously damage the trees and any other green vegetation, including plankton in the seas, the most prominent producer of oxygen, in fact. PS: and congratulations, Alan - great article.